Make it memorable! Provide your guests with a bold, yet tasteful reminder of your love and union with the Classic Wedding Flyer. 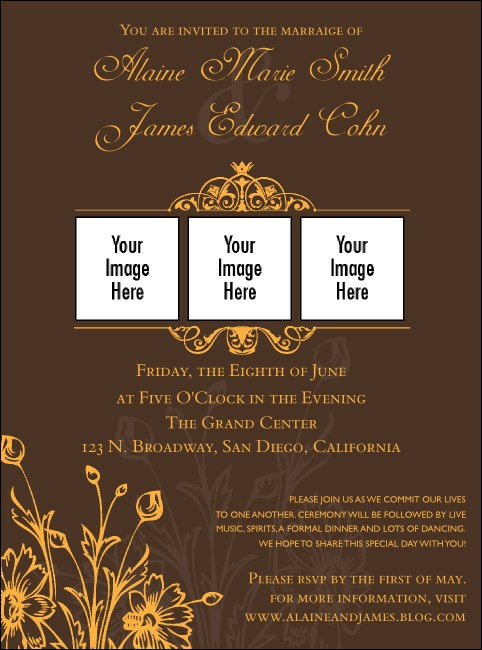 Printed on a warm background of brown and gold, this flawless flyer features flowers and fleur de lys inspired designs. Use as part of the table setting or as a program for the big event. The flyer template has space for three images of the bride and groom. Check out TicketPrinting.com for more wedding inspired designs.